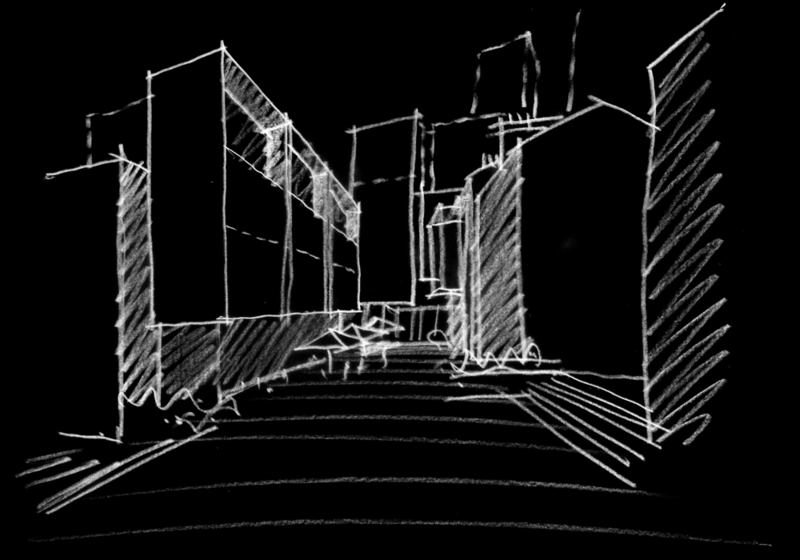 The concept for this project is based upon public benefit, enhancement of the public realm and urban structure of the Rocks. 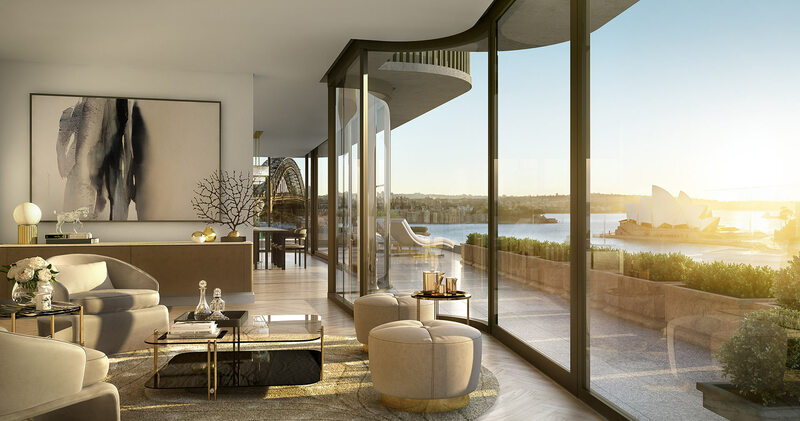 Located in Sydney’s heritage Rocks precinct, The Harrington Collection is a mixed used development that has a clear relationship with the context of surrounding buildings and heritage streetscapes. 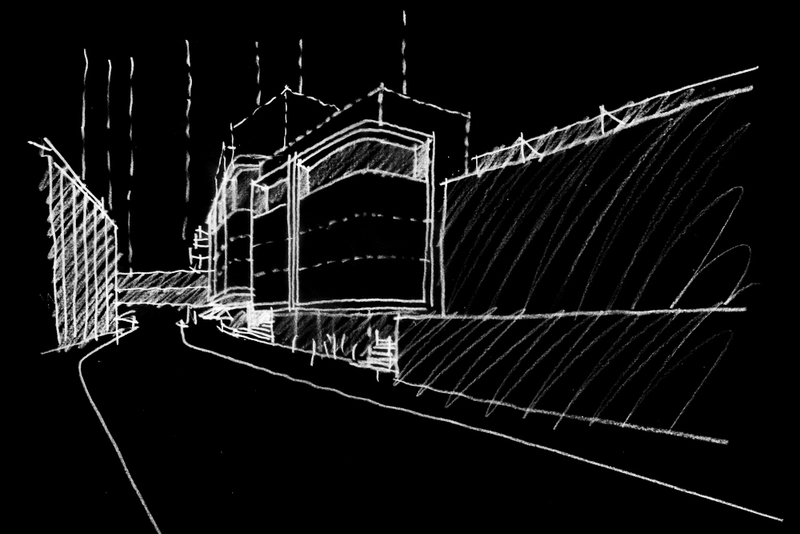 Rather than appearing as one large form, in line with the current building, the project creates a series of varied scale buildings that reflect the rhythm of adjacent streetscapes, matching the width of building facades and proportions of street walls. The retail and neighbourhood fronting commercial spaces will offer a new precinct and streetscape enhancing the amenity and day/night activation in The Rocks. A new Cumberland Place Courtyard will provide a destination at the mid-point of a significant heritage trail running from Circular Quay to the ridge of The Rocks and beyond. This will become a destination unto itself, offering food and beverage opportunities, interpretive elements and passive recreation for the enjoyment of visitors, residents and local workers. 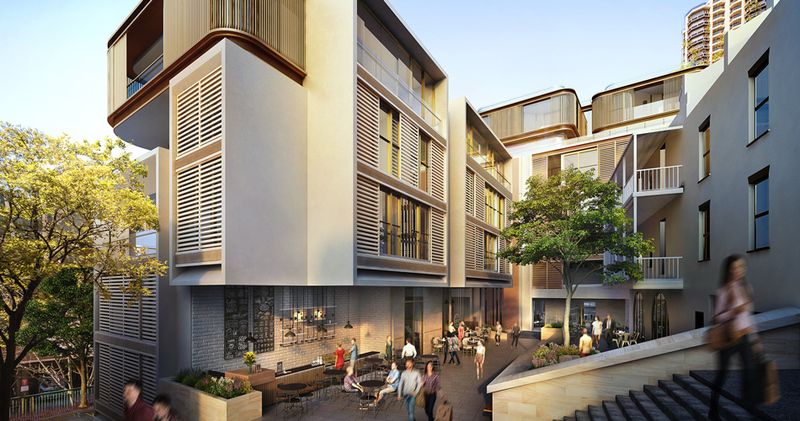 Further activation and amenity is provided for the precinct by provision of traditional and neighbourhood facing commercial space. The commercial office areas allow for a boutique work environment where creative industries can co-locate with existing cultural and heritage facilities. As both architect and interior designer for the development, the interior concept draws from the heritage architectural language of deep reveals, material authenticity and location. Drawing materials from the project brief, the finishes are robustly luxurious with vast expanses of stone juxtaposed with soft timber parquetry. 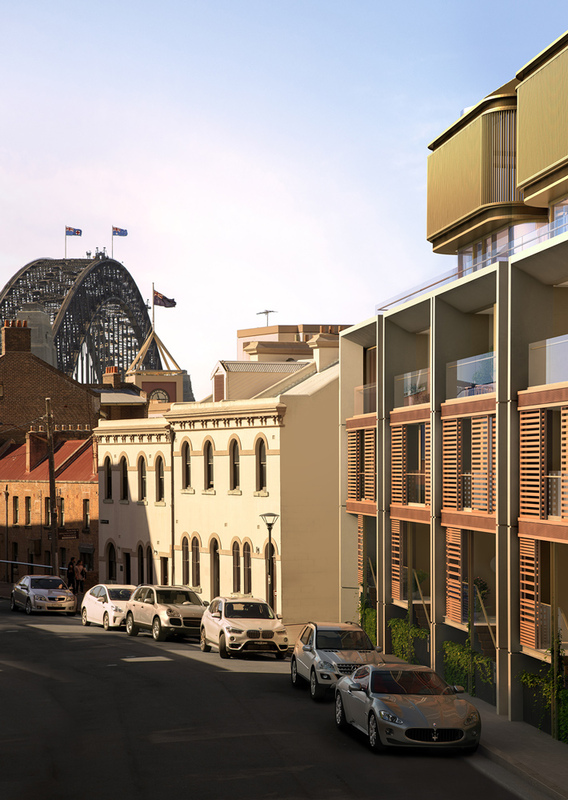 In creating the architecture of the apartments we used the inspiration of the deep splayed reveals and sills of the heritage buildings of the Rocks. It has created a unique design language of splayed elements of ‘frames’ that capture the rituals of daily life. Occurring within the kitchen, bathroom or hall an individual joinery 'frame' is highlighted with luxurious stone or timber. Harrington Street: the site at 85 Harrington Street The Rocks lies within one of Sydney’s most important heritage precincts. 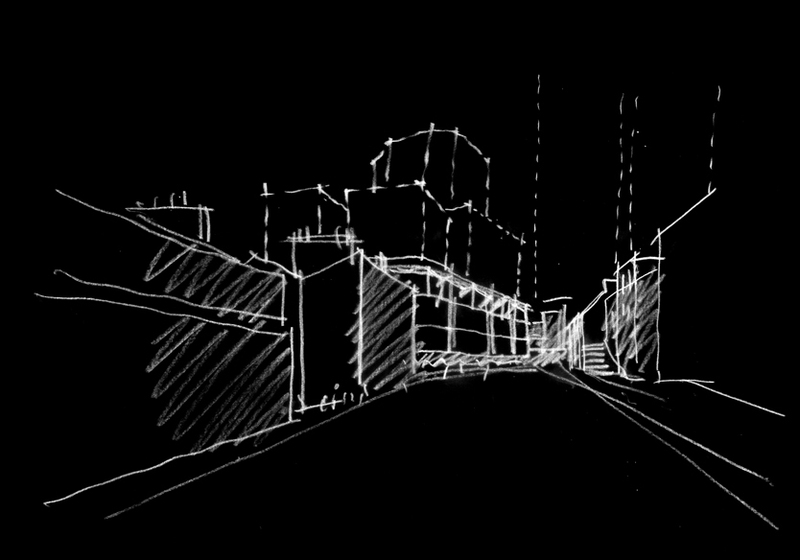 which are interconnected by smaller ‘anttracks’ and pedestrian ways running up the hill from Circular Quay. The site is highly prominent along both its Harrington and Gloucester Street frontages. 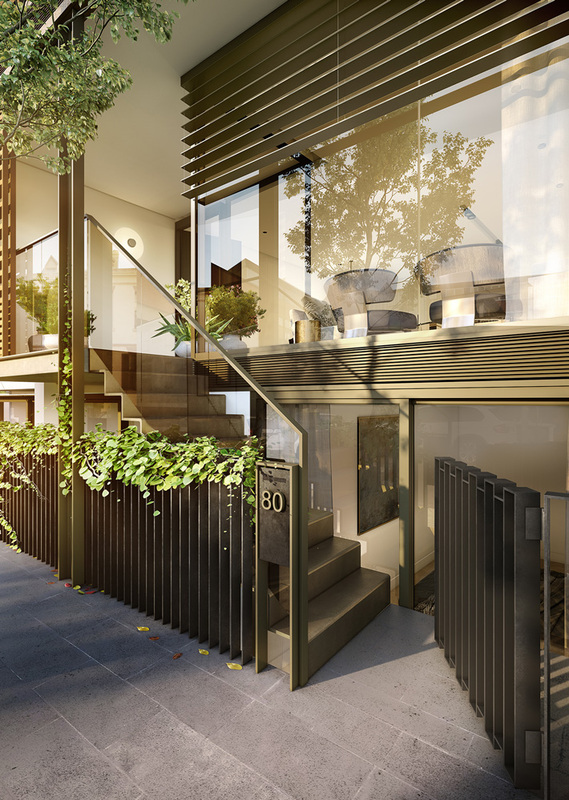 The new Cumberland stairs divide the envelope into two blocks, the small northern block provides a courtyard frontage of similar proportions to the heritage Bakers Terraces.